I know it’s a day after Halloween. (Two days after if you live in Europe. It’s getting late.) But I love horror movies, and when I’m not living 64 years in the past, I watch a fair amount of horror from all eras. So I couldn’t resist posting these 13 questions and my responses when I saw this list on The Girl With the White Parasol, which is an excellent classic film blog that you should check out if you haven’t already. 1. Who is your favorite movie witch? Cassandra Gava, the witch who seduces Arnold Schwarzenegger in Conan the Barbarian (1982). She barely has any lines, but she’s the perfect primal sorceress, both sexually alluring and ferociously terrifying. 2. What is the first movie you can remember being scared by? Something Wicked This Way Comes (1983). They used to show movies (real film reels projected on a small movie screen) in the basement of my local public library, and this was the first horror movie I saw from beginning to end, and it scared the crap out of me. * I also remember seeing most of Dracula Has Risen From the Grave (1968) on TV and being frightened and fascinated by it, but I’m not sure which came first. 3. Name a classic horror film that would be substantially improved by better special effects. Dracula (1931). I love the special effects in most Universal monster movies, but this one really falls flat. The rubber bat on a string that plays a major role in the film looks ridiculously bad, even if you squint your eyes and suspend your disbelief really hard. 4. Name your favorite Val Lewton film. Fifteen years ago I would have said I Walked With a Zombie (1943). Ten years ago I would have said The Body Snatcher (1945). Right now, though, I’ve gotta go with Isle of the Dead (1945). Boris Karloff’s performance is just phenomenal, and the “buried alive” climax still gives me chills just thinking about it. 5. What movie villain or monster has the most frightening “stare-into-the-camera” moment? I don’t know. There’s not one that stands out for me. 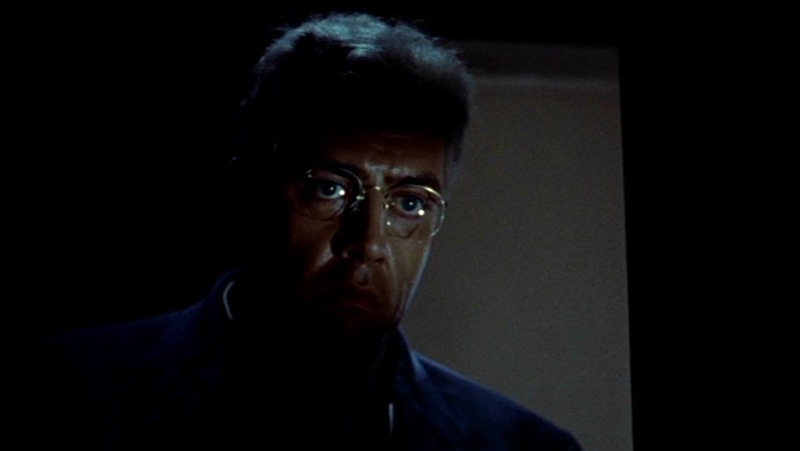 But I’m pretty sure if you asked my mother she would say Raymond Burr in Rear Window (1954). 6. What is the most irritating horror film cliche? 7. Are there any movies you refuse to watch alone? Black Christmas (1974) in the dead of winter. I did it once. Never again. 8. Picture an old childhood nightmare of yours. Now try to adapt it to film. Can it be done? I don’t think anyone wants to see a movie about a bald guy with a thick, dark beard who wears a suit and tie and kills kids on a playground with hedge clippers. Also, when you wake up and go to the bathroom and think you’re not dreaming anymore he comes out of the guest room. 10. What is the most disappointing horror remake? Friday the 13th (2009). It wasn’t a good sequel, it wasn’t a good reboot, it wasn’t a good remake, it wasn’t a good whatever-the-hell-it-was. 11. We’ve all seen our share of vampires, zombies, and werewolves on film, but are there any mythical creatures or monsters out there that you think deserve more movies (i.e. golems, changelings, the Minotaur, etc.)? Definitely manticores. The manticore is weird enough to be one of those crazy-monster-crossed-with-crazier-monster movies that Roger Corman’s been making for the Syfy channel, but it’s got a sweeter pedigree. 12. Along the lines of “Scary Mary Poppins,” can you think of any non-horror flicks that could easily be adapted to fit the genre? Herschell Gordon Lewis’s One Hundred and One Dalmation Maniacs! 13. And now, just for fun, pick one movie monster or villain to be remade into a cuddly plush toy, just for you. I want to go to bed tonight cuddling a stuffed toy of that zombie with the mustache in Dawn of the Dead (1978) who’s sitting on the floor wearing a shirt that says “Bach’s Arco Pitcairn” and is looking longingly at Gaylen Ross through the glass. *EDIT: My mom e-mailed me today after reading this and informed me that Something Wicked This Way Comes was probably too new to be one of the movies shown at our local public library, and that we saw it at one of the local theaters. So I think my memory is conflating things here. Posted in Uncategorized and tagged Halloween, Horror. Bookmark the permalink. Hi, Adam. I’m so sorry I’m late to comment on your post. For some reason I thought I already had. Anyway, I’m really glad you decided to participate on the meme (and thank you for the plug!) That nightmare sounds utterly terrifying even if it would make for a pretty unpleasant movie. Still sounds better than Death Bed: The Bed That Eats, though. The manticore sounds intriguing. And you might have given me the final push to see Black Christmas although I’ll probably save that one for a bright sunny day. Thanks, Rachel. Death Bed: The Bed That Eats … ha! My friend gave me that movie as a gift a long time ago. She told me it was pretty bad, but memorably weird and interesting, and she was right.